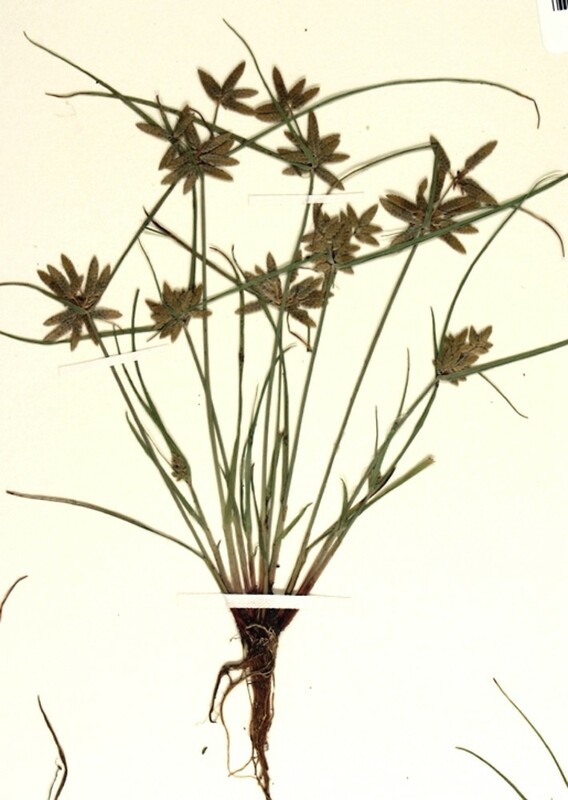 Yellow flatsedge is a species of disturbed, moist to wet sites in Massachusetts. 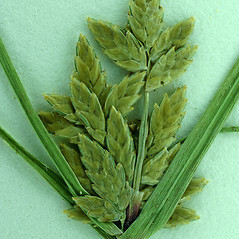 It reaches the northeastern edge of its range on Cape Cod and the Islands, where populations may have been introduced. 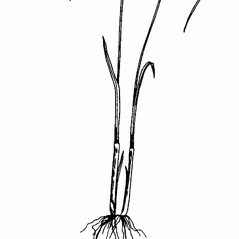 It may get its common name from the pale color of its immature spikelets, which have a yellowish cast. 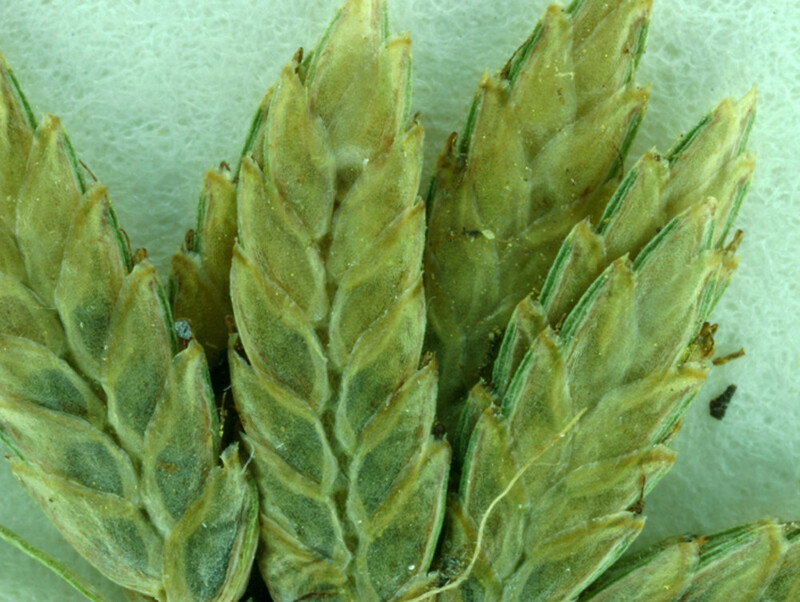 achenes narrow-obovate to oblong in outline, unmarked, and floral scales narrow-oblong to ovate (vs. C. flavescens, with achenes broad-obovate to nearly suborbicular in outline, minutely marked with elongate, superficial cells and irregular, pale transverse lines at maturity, and floral scales broad-ovate). 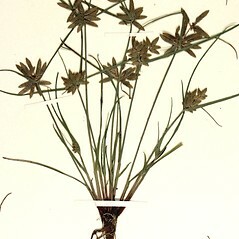 Cyperus flavescens L. var. poiformis (Pursh) Fern. yellow flatsedge. 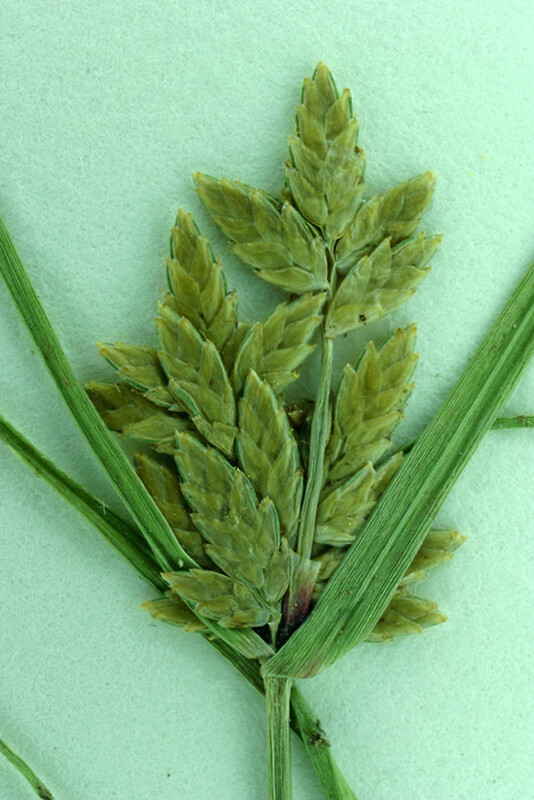 Cyperus flavescens L. var. 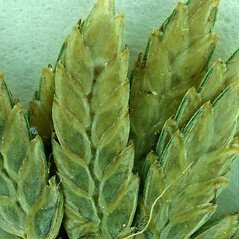 poiformis (Pursh) Fern. 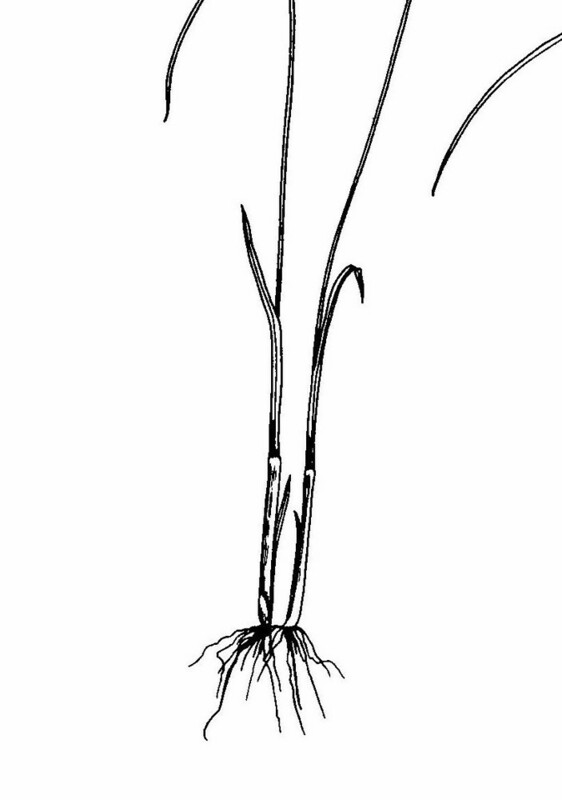 ; Pycreus flavescens (L.) Reichenb. • MA. Wet-mesic, often human-disturbed, soils.